Hi; I’m Kim Callaway. 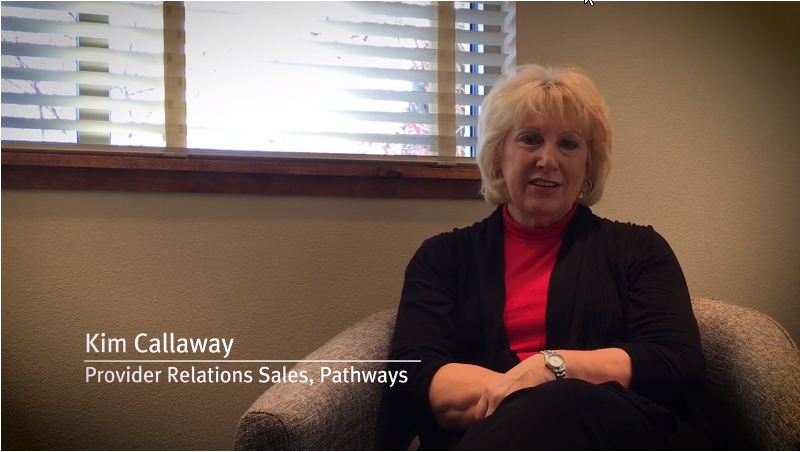 I work at Pathways in Fort Collins. I’m in Provider Relations here, so I work with different facilities in the area and make sure our services are delivered smoothly. After I started working here, I met Logan and became involved in the program. And, oh my gosh, I had no idea there was help like this out there. I recently moved to Colorado and got a new job. I’m raising my granddaughter, and it’s just me. And Logan stepped in and made such a difference in my world with so many resources that I had no idea were available–grandparent resources, resources for the grandchild to go and have different activities. I can’t say enough good things about Logan and this program.